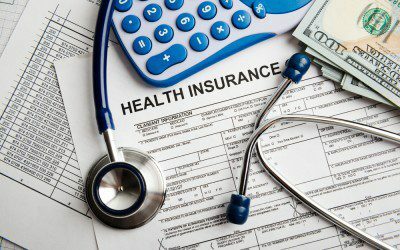 As we’ve discussed here at Diabetes Flashpoints in the past, every so often, health insurance companies have tested the waters of offering lower-cost plans that severely restrict what doctors patients can see. So far, these plans have mostly failed — it seems that most health-care consumers, and their employers, value having a wide range of providers to choose from. But as a recent article at Vox notes, the latest insurance company to try this strategy may have more success than previous companies have had. That’s because this company — called Oscar — aims to offer enrollees a better, more integrated patient experience than other insurance plans can. By doing things like letting patients book appointments using the Oscar app (or website) and sending doctors alerts when their patients are admitted to an emergency room — and paying them extra to read about the details — Oscar hopes to more than compensate for offering fewer providers than other insurers. In fact, as the article notes, Oscar’s approach probably wouldn’t be possible if the company offered more providers, because having fewer providers lets it coordinate more closely. For example, one of Oscar’s covered providers in the New York City area — Mount Sinai Health System — has overhauled its scheduling system so that Oscar’s software can coordinate automatically with its own, and the network’s executives have regular meetings with Oscar’s staff. Most health insurers and medical providers, by contrast, don’t let you see a doctor’s schedule when booking appointments — which means you end up on the phone, taking suggestions from a receptionist who books appointments. Many venture capital firms have bet big on Oscar, with the company attracting $727 million from investors since it launched in 2014. Still, it’s possible that Oscar won’t succeed, for a number of different reasons. It may not be able to fully implement its software/app experience quickly enough to please its customers, who, in the meantime, will still have fewer choices of providers. And it may turn out that when it comes to health care — unlike, say, computers or buying groceries — customers ultimately care less about having a seamless experience booking appointments and more about which doctors they can see for a severe illness or complex surgery. What’s your take on the balance between choices and cost in health care — would you (or do you) pay more to have a bigger network of doctors to choose from, or to have a network that includes a particular doctor or doctors? Have you ever switched doctors, or health-care networks, because of a change in your insurance that saved you or your employer money? If so, were you ultimately satisfied with your new provider? Would you be happier with a more restricted network of providers if it also came with some benefits, like easier appointment scheduling? Leave a comment below!